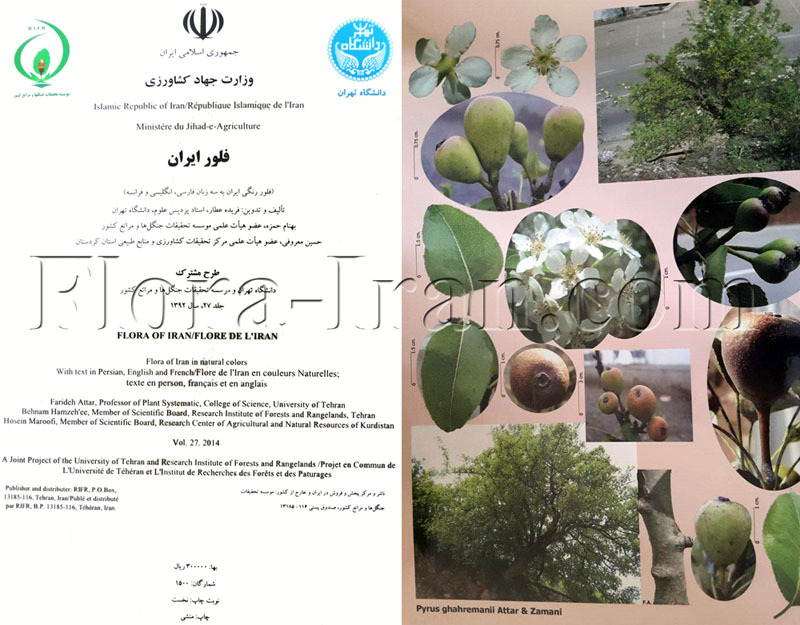 Sotoodeh A., F. Attar and L. Civeyrel (2017). Verbascum songaricum subsp. Subdecurrens: a New Record; Typification and True Identity of V. aspinum as a New Synonym of V. stachydiforme in the Flora of Iran. Kew Bulletin, 72: 24. Sotoodeh A., L. Civeyrel, F. Attar (2016). A new species of Verbascum L. (Scrophulariaceae) from the Gilan province (Iran), based on morphological and molecular evidences. Adansonia 38: 127-132. Sotoodeh A., L. Civeyrel, A. Zamani & F. Attar (2014). Verbascum oreophilum var. oreophilum and Verbascum cheiranthifolium var. asperulum (Scrophulariaceae) Two new records for the flora of Iran. Phytotaxa 173: 205-210. This entry was posted in Uncategorized on June 25, 2017 by admin2. This entry was posted in Uncategorized on November 23, 2018 by admin2. Saman A. Ahmad, Azad Rastegar, and Farideh Attar. 2017. COUSINIA AZMARENSIS (ASTERACEAE, CARDUEAE), A NEW SPECIES FROM KURDISTAN, IRAQ. Harvard Papers in Botany, Vol. 22, No. 1, 2017, pp. 71–73. Maroofi, H., & Rastegar, A. (2017). Tragopogon erostris Boiss. & Hausskn. (Asteraceae: Cichorieae, Scorzonerinae), the correct name for T. maroofii Mahmoodi & Safavi and T. kurdicus Safavi & Maroofi. Phytotaxa, 302(3), 294-297. Naqinezhad, A., & Attar, F. (2016). Onosma ghahremanii sp. nov.(Boraginaceae), a new species from Alborz Mts., Iran. Phytotaxa, 268(4), 286-290. This entry was posted in Uncategorized on July 23, 2017 by admin2.